Costa Rica offers so much more than the eye can see. Despite its relatively small size, the country has over 800 miles of coastlines and mountains rising 12,000 ft above sea level with diverse terrain, from lush forests to tropical beaches. Lovers of the beach can head to one of the many palm-fringed beaches for surfing and sunbathing while the nature lovers head to an inland zipline or volcano hike. 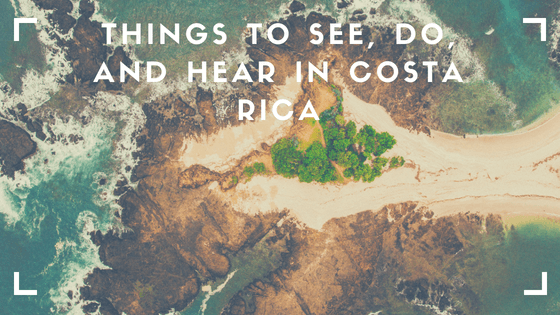 Whether you are in search of nature, adventure, relaxation or fun, Costa Rica has something for you. Coffee & Chocolate Tour – Outside of its beauty, Costa Rica is known for its top exports: coffee and the cacao (chocolate) bean. These two exports grow in similar climates, so it is no surprise that they can be found in short proximity of one another. The coffee tours typically cover one plantation, although if variety is of importance, it is possible to combine numerous stops. The tours are fun and informative, and while fresh-made coffee is typically available, some tours allow visitors to pick raw coffee fruits, depending on the season. Prices tend to range from $15 to $30. Just as there is coffee bean variety, there is variety in cacao and how it is made. Some plantations allow you to travel to the past and take a look into the traditional, and millennia-old, Mayan tradition of harvesting and processing cacao, while others focus on different varieties from around the globe. Costs of these tours are generally the same as coffee tours. Teatro Nacional Costa Rica – This Neoclassical edifice is the country’s National Theater. Located in the heart of San Juan, Costa Rica’s economic and political capital, this theater is the country’s foremost performance art institution offering an eclectic array of orchestral performances, shows, dances, lectures, mixed-media performance, and more. Get more for your money take an organized San Juan tour, such as ones found on TripAdvisor. City tours typically cost $80. Zipline – Designed to flaunt the country’s natural beauty, Costa Rica contains hundred of privately run zip lines through rainforests and montane forests. Costa Rica Guide asserts there are multiple types of zip lines: superfast, reaching up to 40 mph, stretching a mile long; ground-based rails that show forests up-and-close; tree to tree that move more slowly; and multi-sport ziplines that incorporate several activities together. The cost of each ride varies due to the region, conveyance type, and what is included in the package. Typically, zip line tours cost an individual between $50 to $100.